EPP and EPS foam have distinct technical properties, and therefore are employed in different application areas. Expanded polypropylene (EPP) has a low density and it has a high elasticity; it has low compressibility and a high deformation recovery rate. EPP is resistant to oils, acid and alkali chemicals, and solvents; it does not readily absorb water. In addition to being non toxic and tasteless, it can be recycled with very high efficiency with minimal performance degradation. These properties make EPP applicable to the packaging industry, especially for products sensitive to shock during handling, such as electronics and medical devices; these same properties combined with its complete lack of toxicity make it very suitable for shipping food products as well. 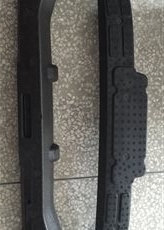 EPP is also employed in the manufacture of car parts, serving as the core material for bumpers as well as roof structure and other components. Expanded Polystyrene (EPS) is a rigid and tough closed-cell foam. Its advantage lies in the ability to produce products with different densities, and to be made into sheets of varying thicknesses as necessary; this flexibility in design comes from its production process, in which polystyrene beads are placed inside the mold and expanded using steam and a blowing agent, typically expanding by around 4000 percent and filling the cavity in the mold to produce the required shape. Like EPP, EPS finds many applications in packaging, but it is also used in refrigeration and the manufacture of daily necessities; it also serves an important role in construction, primarily employed as a structural insulator; its excellent thermal properties enable it to improve the energy efficiency of a building when used in the walls and floor of a building.